Check out these 6 Best Natural Treatment For Dandruff that you can easily try at home! 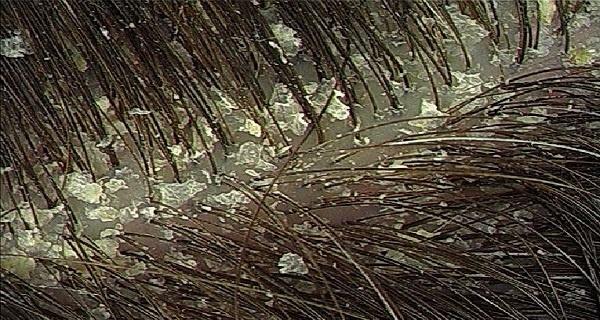 Dandruff is a condition of the scalp that causes flakes of skin causing itching. The exact cause is due to dust, pollution, and poor hygiene. It’s more visible if a person does not wash or brush their hair often. Shampoos and scalp products may reduce dandruff but can cause harmful effect to your scalp and hair. So, follow these best natural treatment for dandruff, which will help slow down dandruff naturally and is completely safe on your scalp. Studies have shown that coconut oil is an effective mineral oil for improving skin hydration and reducing dryness. Applying coconut oil at least twice a week followed by shampooing will reduce your dandruff. Aloe vera is one of the oldest and best natural treatment for dandruff. It not only has antibacterial and antifungal properties but also reduces inflammation which will help reduce dandruff. Apply it at least once a week and wash with lukewarm water and you get dandruff-free hair. Aspirin has salicylic acid which works to loosen your flake skin and removes the scaly skin from your scalp. For the treatment try using two tablets of aspirin and adding the powder to your shampoo before washing your hair. Baking Soda is the quick, convenient and readily available remedy to help treat dandruff. Its believed to gently handle the scalp by exfoliating to remove dead skin cells and reduce scaling and itchiness. Baking soda can be directly used on wet hair and by massaging it for a minute or two you will get rid of dandruff. Dandruff is no more an issue if you have lemons in your refrigerator, just massage two tablespoons of lemon juice into your scalp and rinse with water. Then stir one teaspoon lemon juice into 1 cup of water and rinse your hair with it. Repeat this daily until your dandruff disappears. As salt is a must for your food, it also can remove dandruff. You can just use table salt to scrub and massage your scalp gently. You will find that after the wash the flaky skin and dryness is no more a problem.